My 51st solo backpacking trip, 30th in Asian continent (11th in the Western Asia and 4th in GCC Countries), 59 countries visited so far and of course, usual budget do-it-yourself itinerary from arrival to departure. 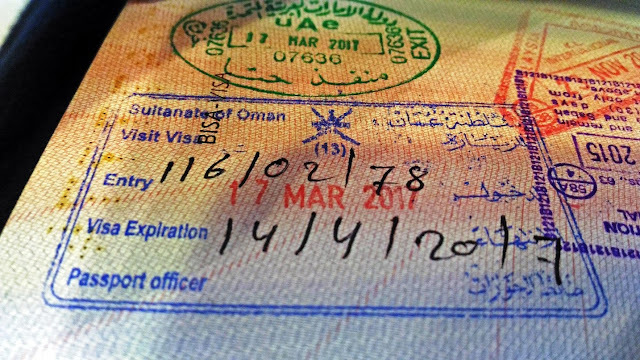 This trip is the first country I visited on the new beginning of my expat life and to accomplish the highest summit hike of Oman. 4. Oman is also one of the oldest human-inhabited places on the planet. Hatta Border: arrived 2245H; easy going procedure, just pay the exit visa fee of 35 AED / 4 OMR. Al Wajajah Border: arrived 2330H; alight bus first with all your belongings for bag inspection. Then, proceed to Immigration building for entry visa, availed visa-on-arrival (working as a Mohandes). Visa fee costs 5 OMR / 50 AED. Hatta Border: arrived 2030H; proceed directly to Immigration building for entry visa, no payment, just bring passport. Then, Immigration Officer inspection on-board.